A number of my cooking/baking friends and I decided to spice up 2011 by cooking a new recipe each month from a chef chosen by one of us. We pick our own recipe by that month’s chef, prepare it, and use a picture of the results as our Twitter avatar for the month. 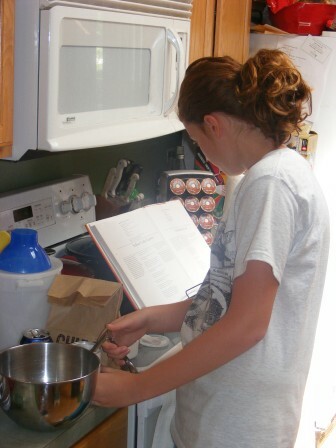 For this moth’s Twitter avatar, Margaret decided we would all make recipes by Emeril Lagasse. I’m no stranger to Emeril. I haven’t made many of his recipes, but my go-to King Cake and bread pudding are both based in large part on his recipes. So choosing an Emeril recipe for March was fine by me. The trouble was narrowing it down to just one recipe. In the end I settled on one of my favorite foods made with ingredients I’d never used in it before. 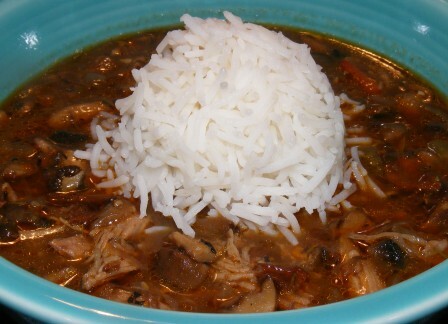 Click here for Emeril’s duck and wild mushroom gumbo recipe. It may look complicated, but like all gumbos, it mainly just takes time. 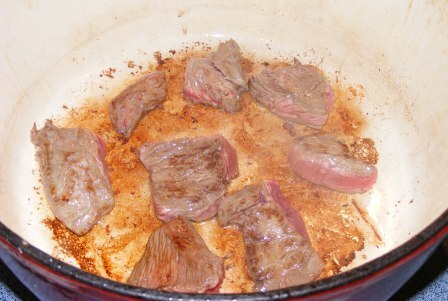 And once you’ve butchered and browned the duck and made your roux, most of the work is behind you. Duck fat, oil, and flour cooking away to make roux. It's not done yet. Once it hits the right level of doneness (coffee-colored), it's ready. Quick! Add the Trinity before the roux scorches. Lots of spices, including Essence and extra cayenne for good measure. 'Shrooms, 'shrooms, and more 'shrooms! I used six kinds of mushrooms -- morel, oyster, protabella, crimini, chanterelle, & shitake. 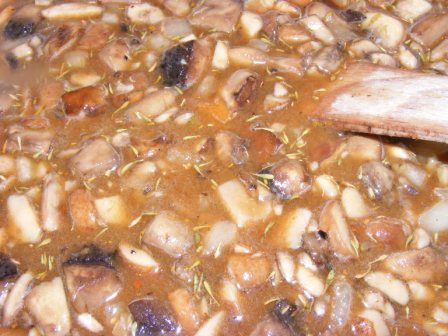 Mix it all together, add the browned duck and broth, and simmer for 1 1/2 hours. Picture perfect and good enough to eat. So, from a self-proclaimed gumbo expert — having made and tried many, many different gumbos in my time, both here and in NOLA — I have to say that this was among the best gumbo I have ever eaten. I had two big bowls for dinner and could easily have had one or two more. It was spicy, but not overly so, and the duck was rich and flavorful without the slightest bit of gaminess to it. 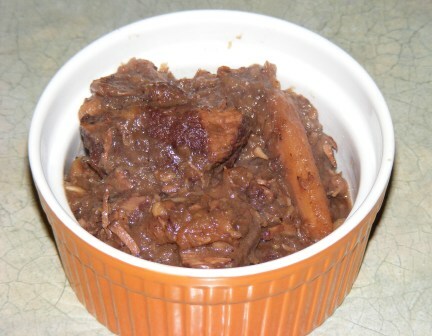 My kids are fairly adventurous eaters, but I didn’t know how they would do with duck and the spiciness of the dish. But they both loved it. I may have made this one with the picture in mind, but I’ll keep making it with my belly in mind. Bam! The sixth tart recipe in the Savory Tarts & Pies section of the Modern Baker Challenge is the only tart in this section that doesn’t contain any eggs. 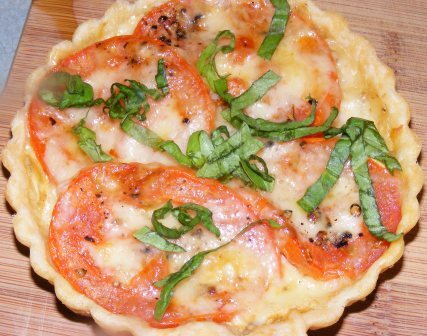 Rather than a custard, this tart consists mainly of tomatoes and cheese. 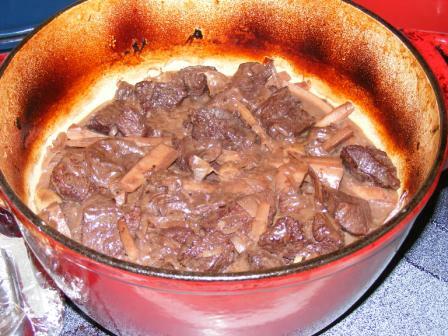 The recipe calls for Cantal, a French cheese similar to Gruyère. I ended up using Gruyère, as I couldn’t find Cantal at my market. The recipe is also supposed to be made with fresh tomatoes, which unfortunately can’t be found around here this time of year. Not wanting to wait until summer to make this recipe, I decided to roast some tomatoes in order to make them taste more like fresh, ripe tomatoes. I began with two Roma tomatoes. 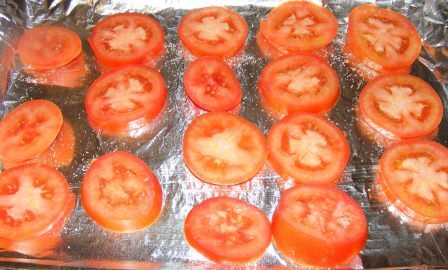 I sliced the tomatoes, spread them on a foil-lined baking sheet, and sprinkled them with a little salt and sugar. 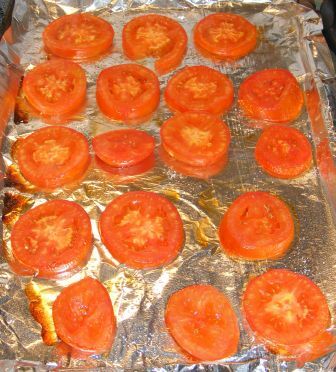 I roasted the tomatoes in a 350°F oven for about 35 minutes, until they were slightly shriveled and most of the moisture had evaporated. 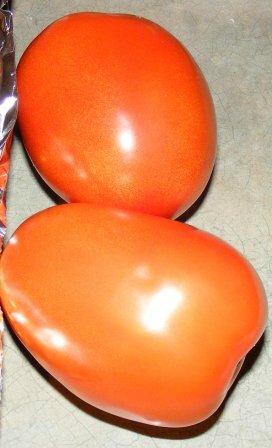 It was amazing how much roasting affected the flavor and texture of these tomatoes. They obviously still weren’t as good as vine-ripened summer tomatoes, but they were by far the best tomatoes I’ve had in the middle of a Midwest winter. I allowed the Romas to cool on the baking sheet while I prepared my mise en place for the tart. 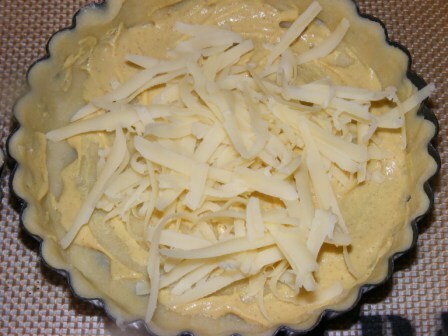 The tart is very simple to assemble. 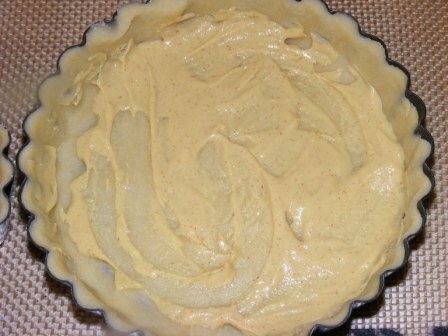 After making the pastry, I spread Dijon mustard in the bottom of the tart shell. Then I sprinkled on some shredded Gruyère. Next, I added tomatoes in an overlapping layer. I sprinkled some pepper on the tomatoes, then added another layer of cheese. 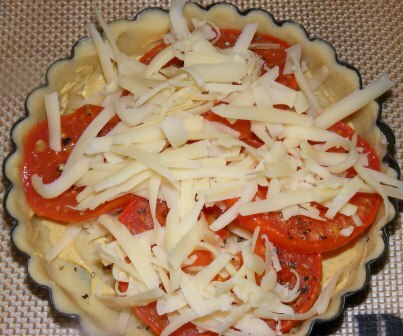 I baked the tart at 350°F for about 25 minutes, until the cheese was melted and nice and bubbly. I unmolded the tart while it was still warm, then topped it with basil chiffonade and a drizzle of olive oil. 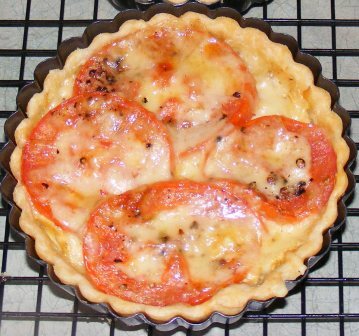 I baked the tomato & Gruyère tart on the same day that I made the Swiss onion tart. I made each of them as mini tarts, so I decided to serve them side-by-side. I enjoyed them both, and the tomato tart reminded me of a really good grilled cheese sandwich (I always put tomato slices on my grilled cheese). But I have to say that I missed the custard in the tomato tart, and I thought the onion tart won out in both flavor and complexity. 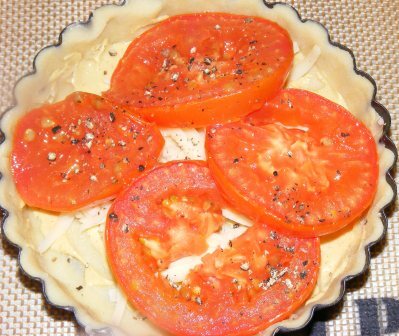 I will make this tart again, although I’ll probably wait until summer so I can try it with garden fresh tomatoes. I do like the idea of making mini tarts and serving them together. 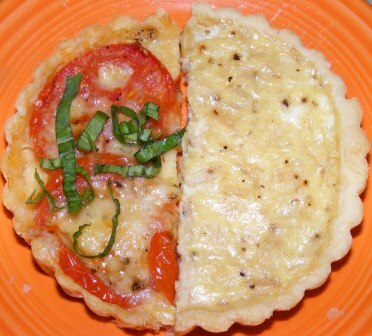 And I might even do four tarts and serve a wedge of each sometime for brunch. If you’re following along on the Modern Baker Challenge page, you’ll note that I have one more tart to go before I get to the dreaded curried fish pie. Stay tuned. It should be interesting. 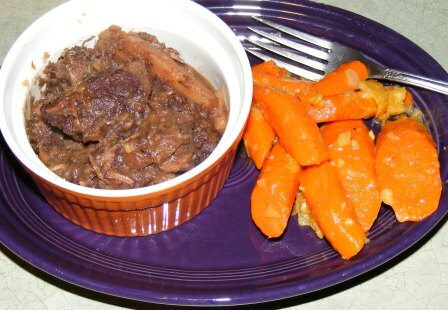 At French Fridays with Dorie we’re starting off the new year with the perfect recipe for those wintry January days. I love soup, especially when it’s cold outside. 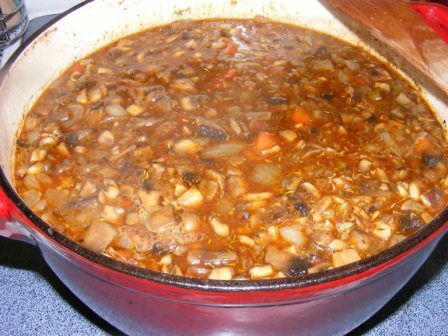 I’m not sure why I don’t make it more often, especially since so many soup recipes, like this one from Around My French Table, are so easy to put together. 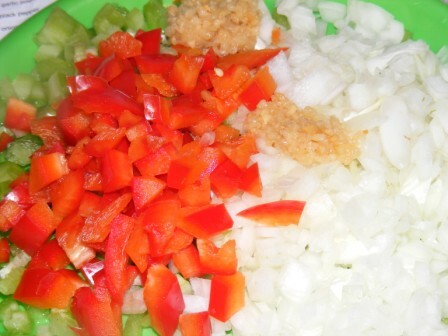 Preparing to cook included little more than chopping vegetables and measuring out the remaining ingredients. 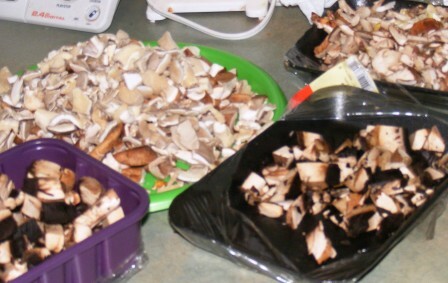 The most time-consuming part was cleaning and slicing the mushrooms. 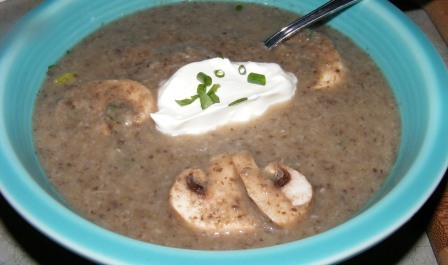 If you really wanted this soup to be almost effortless, you could start with sliced white mushrooms. 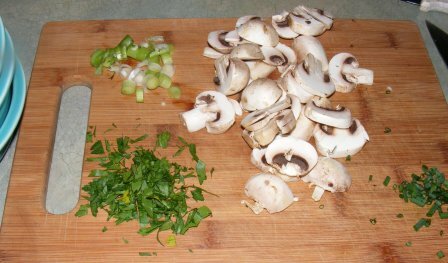 Starting with whole mushrooms, it still only took me about 15 minutes to get everything ready. With my mise en place completed, it was time to make soup. 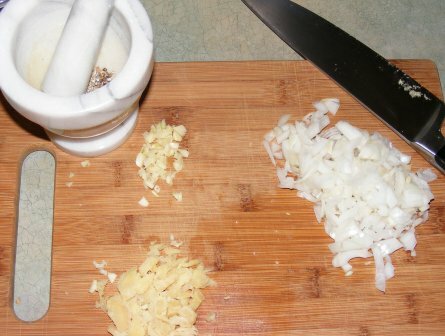 I began by sautéing onions and garlic in butter. Or rather, my sous chef sautéed them. 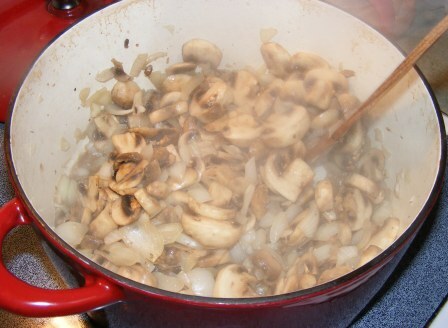 After the onions and garlic had softened a bit, we added the mushrooms and cooked them down until they gave up their liquid. 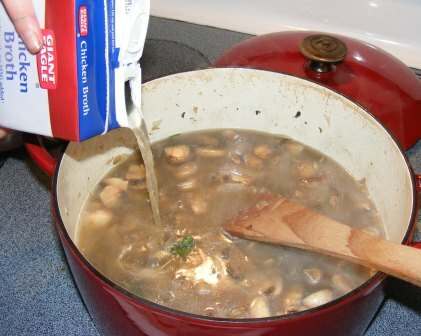 We continued cooking the mushrooms until the liquid had mostly evaporated. Then we added white wine and cooked it away, too. Finally, we dropped in rosemary and parsley, then poured in chicken broth. We brought the broth to a boil, covered the pan, and simmered the soup for about 20 minutes. We — or rather, I, as my sous chef had gone off to play by then — uncovered the pot, moved it off the heat, and broke out the immersion blender to purée the vegetables. 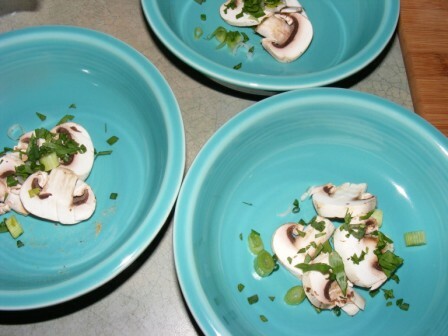 With the soup ready to go, I prepared the salad, which consisted of mushrooms, scallions, parsley, and chives. I assembled the salad in the bottom of shallow soup bowls, then ladled the hot soup onto the salad. I served the soup with a dollop of sour cream. The recipe called for crème fraiche, but the grocery store didn’t have any, and I hadn’t thought ahead to make it. No matter, as the sour cream worked just fine. 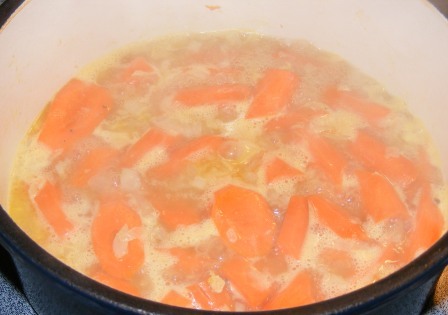 This soup was perfect for a chilly winter Sunday supper. 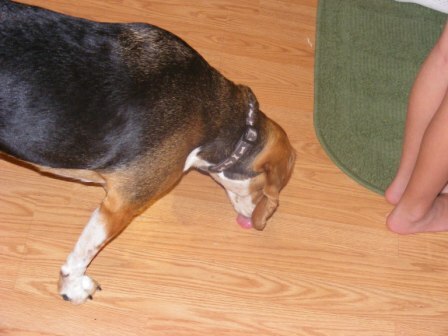 My sous chef, who claims not to like mushrooms, even liked it. 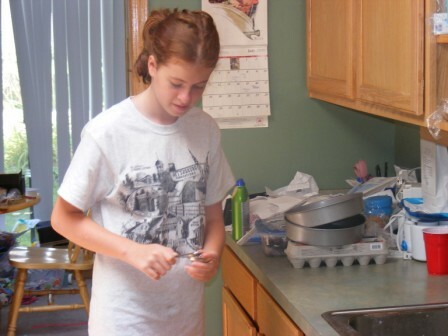 Actually, that was part of the reason I had her help me cook it. 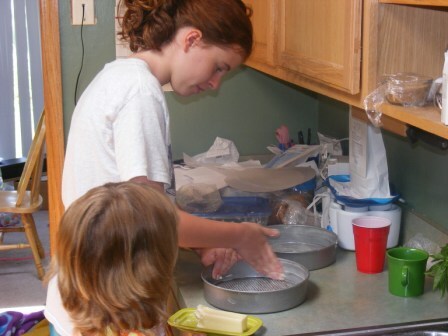 I’ve found that kids are more likely to try — and like — a dish that they have helped prepare. As for the rest of us, we loved the soup, too. Everyone finished their bowls, and I went back for seconds. The soup was creamy and delicious, and the salad gave it a bit of added flavor and texture. 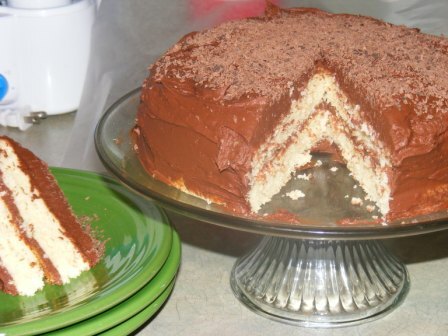 This is definitely a recipe I will make again. And it has me thinking I should make homemade soup a regular part of my winter dinner rotation. My second assigned blog post for the Yeast-Risen Specialties section of the Modern Baker Challenge is Ginger-Scented Panettone. 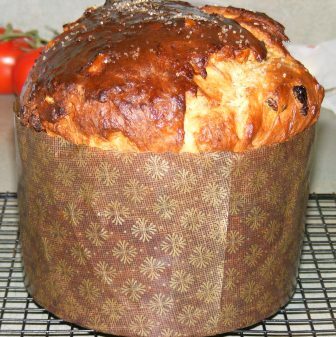 I’m not sure why I picked this recipe, as I don’t have much experience with panettone. 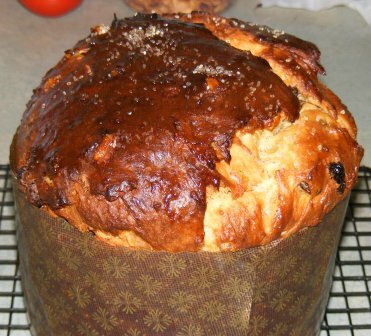 In fact, until I made Peter Reinhart’s Panettone recipe for the BBA Challenge, I had never even tasted panettone. But I really liked PR’s recipe, and since we would be baking from this section during the holiday season, Ginger-Scented Panettone seemed like a festive choice. In the introduction to this recipe, Nick Malgieri notes that in Italy panettone is generally made with sourdough starter, although his recipe calls for a yeast-based sponge. One advantage to using sourdough is that the bread stays fresh longer and won’t get moldy as quickly. Since I keep two sourdough starters in the refrigerator and it was time to get them out to feed them anyway, I decided to make my panettone with a mixed method, using sourdough starter and some yeast. Using baker’s math, I calculated the hydration of the sponge and fed my sourdough starter accordingly. I let the sponge ferment for about eight hours, until it was nice and bubbly. 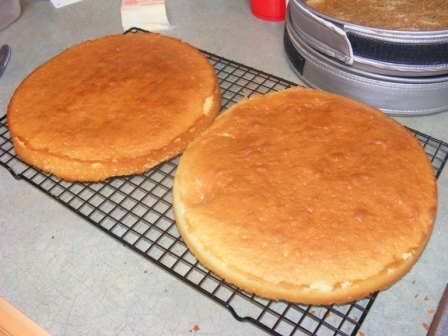 Rather than using yeast in the sponge, I added it to the dough. Since I was using instant yeast instead of active dry yeast, I added the yeast along with the flour. 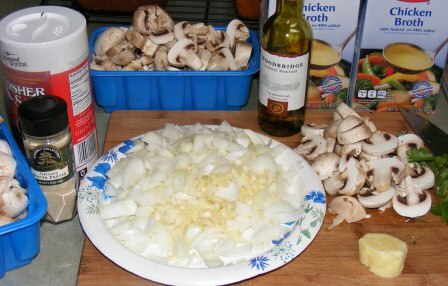 After the sponge was ready, I gathered my ingredients. I was feeling a bit lazy, so I cheated on the minced ginger. 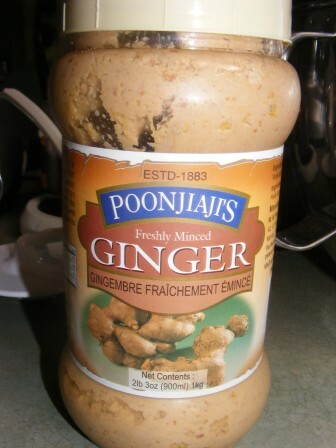 As you might guess from the name, I picked this jar of ginger up at an Indian grocery. 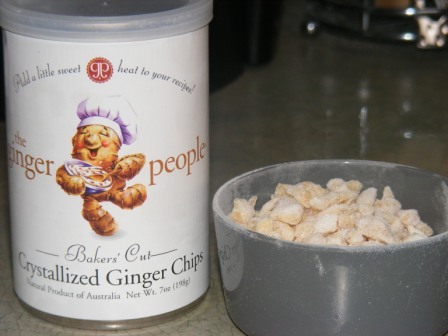 I really like this stuff and use it just about anytime a recipe calls for freshly-grated ginger. It comes in a two-pound jar, so it lasts forever, and it stays fresh in the fridge. And speaking of ginger, I found this candied ginger at World Market. It’s fresh and chewy, not all hard and dried out like the stuff you get in the grocery store. And it’s a lot less expensive, too. I mixed up the dough, which, in addition to the ginger, is flavored with lemon zest and vanilla. 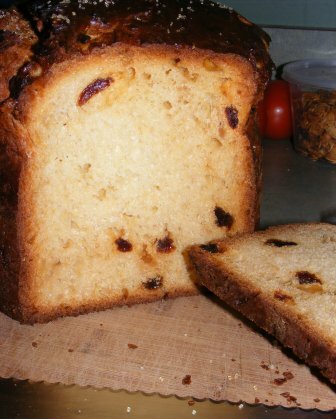 Unlike a traditional panettone, this dough isn’t loaded with fruit, containing only golden raisins and no candied fruit or peel. After the dough was mixed up, I put it into a buttered bowl and let it ferment. 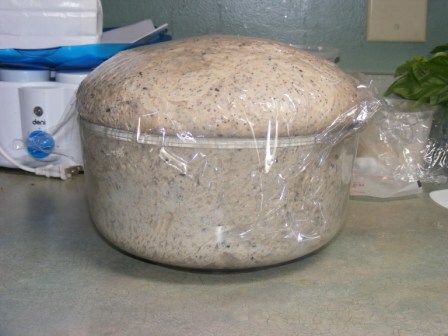 The dough rose for about two hours, until it had doubled in volume. By using a combination of sourdough starter and commercial yeast, I got the advantages of each. The starter enabled me to achieve a longer lasting, more flavorful dough, while the commercial yeast made the dough rise on a more predictable schedule. 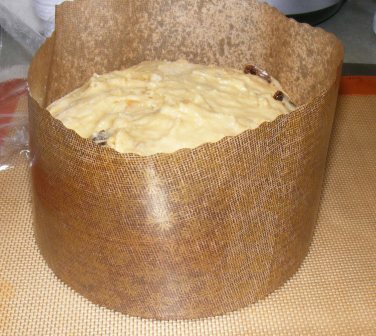 After the dough had fermented, I put it in my panettone mold. Based on my previous panettone misadventure, I decided to put the dough into two molds. 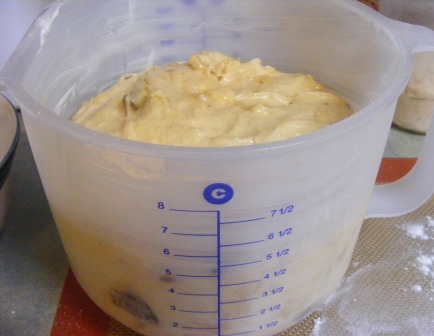 However, as soon as I had shaped and panned the dough, I could tell that two molds were too many, so I took the dough from one mold and plopped it on top of the dough in the other mold. I was a bit concerned that the dough might outgrow the paper mold, but I decided to try it anyway, as I didn’t want squat little boules like I had the first time I made panettone. As it turns out, I needn’t have worried, as the dough didn’t quite fill the mold when it proofed, and it baked up perfectly. Before I baked the loaf, I brushed the top with a little egg wash and sprinkled it with finishing sugar. 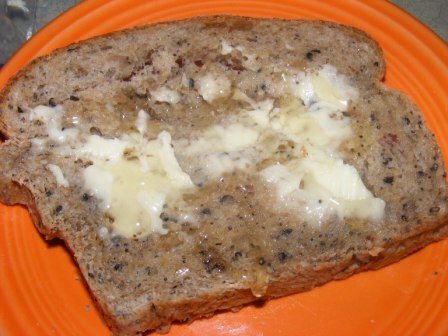 I liked the way it looked, and it gave the bread just a hint of extra sweetness, along with a nice crunch. This was a really nice bread. The ginger flavor was definitely in the forefront, but it wasn’t overwhelming. And I liked the fact that it had the golden raisins in it but wasn’t overloaded with candied citrus peel or unnaturally-colored fruit. Anyone who grew up eating panettone during the holiday season will probably find this a nice diversion from the standard loaf. And if you’ve never been a panettone fan, or perhaps have never even tried it, this would be a nice introduction to this Italian holiday tradition. I’ve been fascinated with multigrain bread since I read Peter Reinhart’s Bread Upon the Waters, in which he analogizes the bread baking process to his spiritual journey, and carries that metaphor through the book using his recipe for struan. 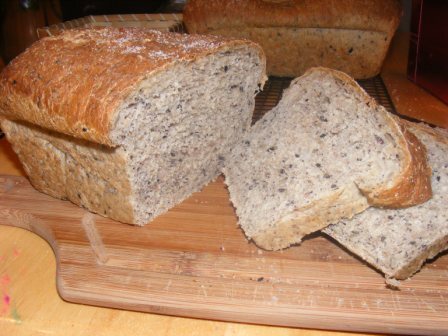 Whether it’s called grain and seed bread, multigrain bread, or struan, this is one of my favorite breads to bake and eat. 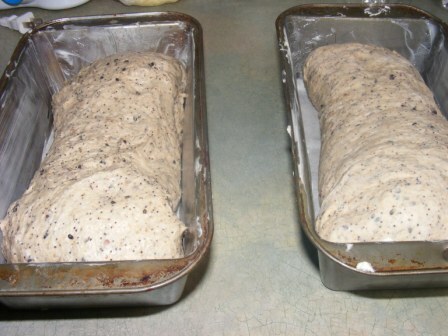 In fact, Peter’s Multigrain Bread Extraordinaire was one of my favorite recipes in The Bread Baker’s Apprentice, and I went on to create my own sourdough grain and seed bread recipe. So it should come as no surprise that of the recipes in the Breads section of The Modern Baker, this is the one I was most excited to try. 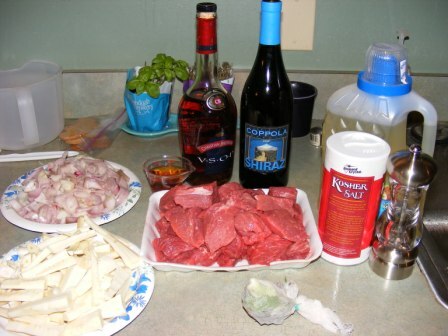 Because this recipe has a lot of ingredients, I felt it was important to use mise en place. This was all the more true since I upped the ante by making this an 11 grain and seed bread. Nick suggests adding black sesame seeds and brown rice to the recipe, which I decided to do. 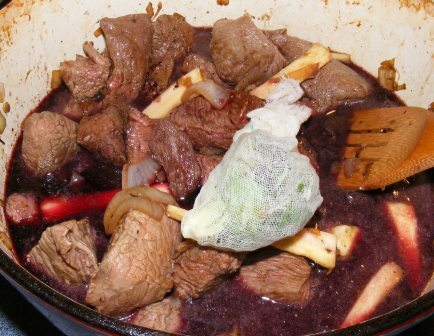 And since I keep two-ounce packages of mixed red, brown, and black rice in the freezer for making struan, I ended up adding four additional ingredients. 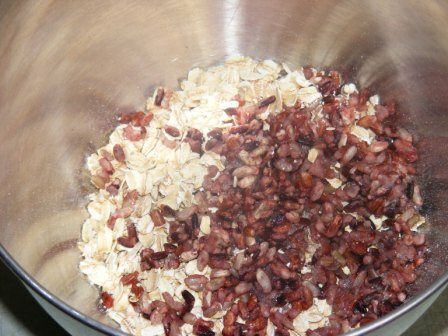 I began by making a soaker with the oats and rice, which I mixed with boiling water. 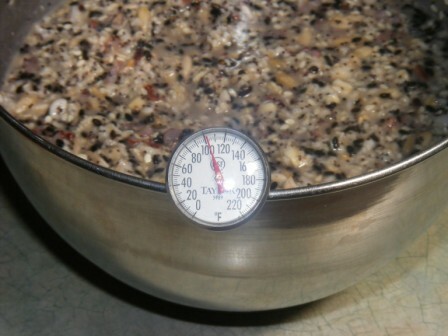 While many recipes require an overnight soaker, Nick’s recipe calls for using the soaker as soon as it cools. Although he doesn’t say what temperature to cool it to, I figured I would bring it to around 110° F, the same temperature as the water called for in the recipe. After the soaker had cooled, I measured the water. 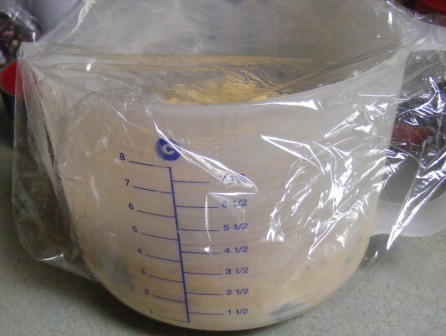 The recipe said to add the yeast to the water, but I accidentally put it into the soaker. Oh, well. 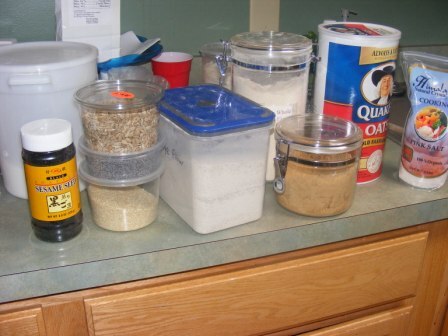 No harm done, since both the soaker and the water were added to the mixed flours. 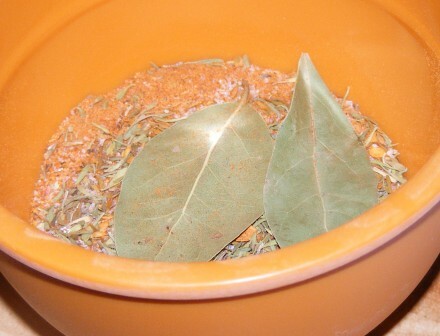 The ingredients were mixed briefly, then allowed to autolyse for 20 minutes. 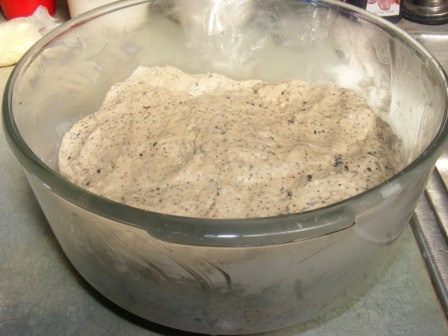 After four more minutes of mixing, I put the dough in an oiled bowl to ferment. The dough doubled in just over an hour. 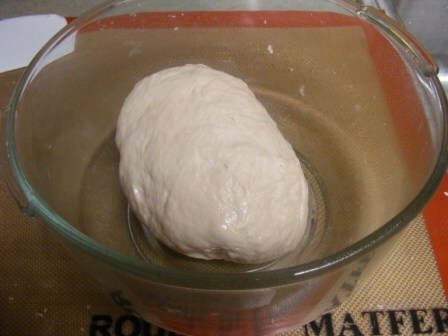 After the bulk ferment, I pressed the dough out into a rough rectangle, which I then divided into two pieces. 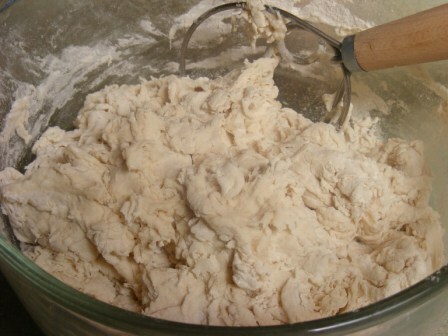 As has been the case with most of the recipes in this section, this dough was quite slack, so shaping was a challenge. And it didn’t help that I found the shaping instructions in the book a bit confusing. The results of my first attempt (on the left) weren’t pretty. I caught on by the second loaf, which came out looking a little better. 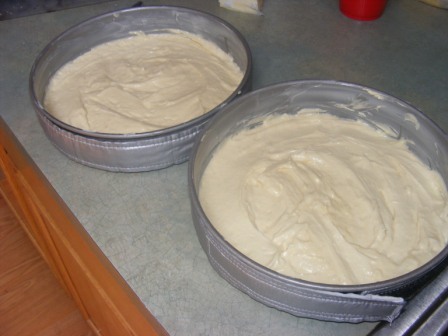 I allowed the dough to proof for about an hour, by which time it had crested well above the tops of the pans. I baked the loaves for about 30 minutes, until they were golden brown and reached an internal temperature of 185° F.
So, did these loaves live up to my expectations? In a word, yes. The crust and crumb were soft and chewy, the texture of a good sandwich bread. And the taste was amazing — complex, nutty, slightly sweet. It was great plain, with cultured butter, and as a base for sandwiches. 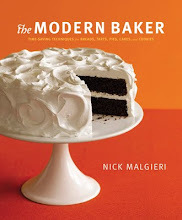 This is definitely my favorite bread in this section of the book (so far) and one that I will make again. The July BOM (bread of the month) for the Facebook Artisan Bread Bakers group was Noon Rogani, a breakfast bread from Azerbaijan. We followed the recipe posted on the King Arthur website. This simple yet impressive bread is filled with cinnamon, sugar, and butter, and looks almost like a giant cinnamon roll. 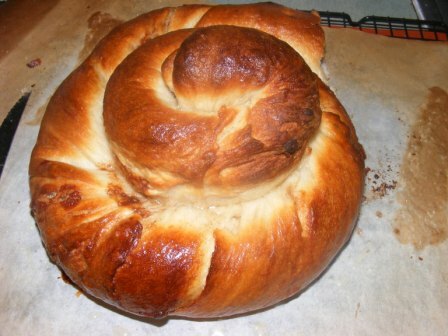 The shape is supposed to resemble a turban: hence, the name my daughters gave it — Cinnamon Turban Bread. 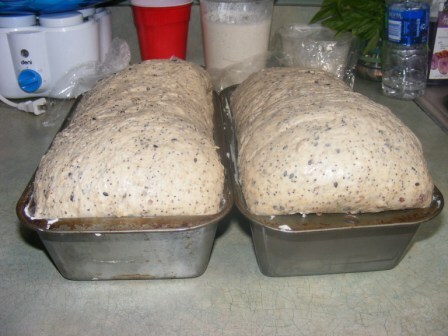 The dough is fairly straightforward and consists of flour, yeast, water, salt, sugar, and vegetable oil. 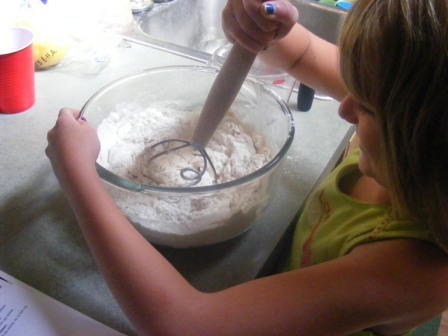 My six-year-old helped me mix up the dough. 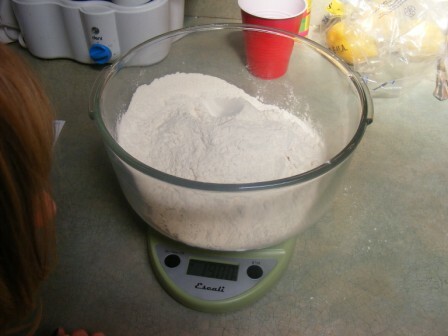 We began by weighing the flour. 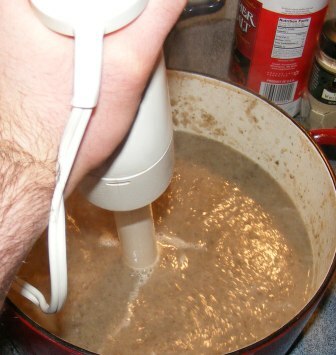 Then we mixed the flour, yeast, and water to make a slurry, which we allowed to rest for 10 minutes. 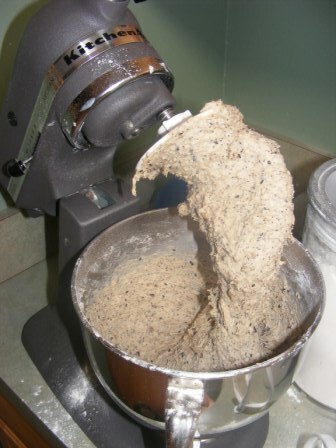 We mixed in the rest of the dough ingredients and kneaded everything together. The recipe was rather vague on the kneading time, saying only to knead “until the dough is smooth and elastic”. I didn’t time myself while I kneaded the dough, but I’m pretty sure I under-kneaded and didn’t develop the gluten enough. The next time I make this recipe, I’ll knead the dough for about 10-12 minutes and make sure I get a good windowpane. After kneading the dough, we put it in an oiled bowl to ferment. After about 40 minutes, I (my daughter had lost interest by this time) dumped the dough out onto the dining room table and pressed it out into a rough square. 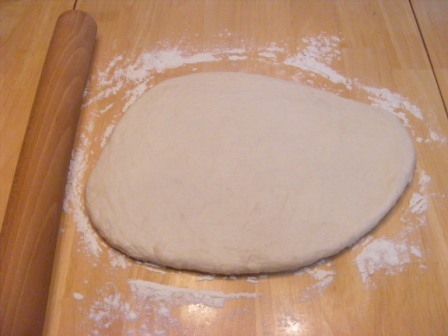 Then I rolled the dough out to a large square. 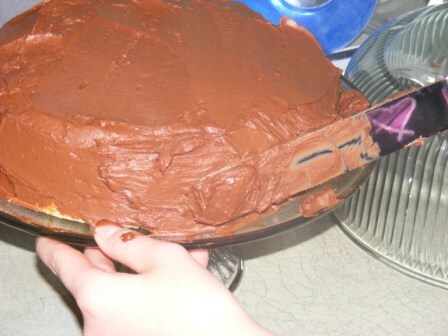 The recipe said the square should be about 23 inches, but mine was nowhere near that large. I rested the dough several times, but was never able to get it rolled out to the correct size, which I blame on the under-developed gluten mentioned above. Never one to let failure dampen my spirits, I pressed on with my dough as it was. 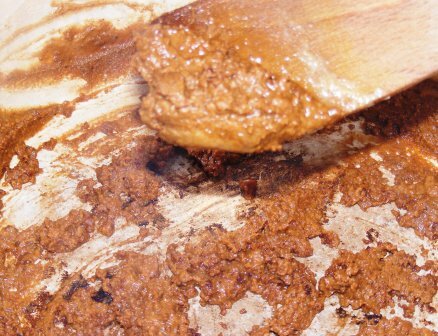 The next step was to brush the dough with melted butter and sprinkle it with cinnamon sugar. 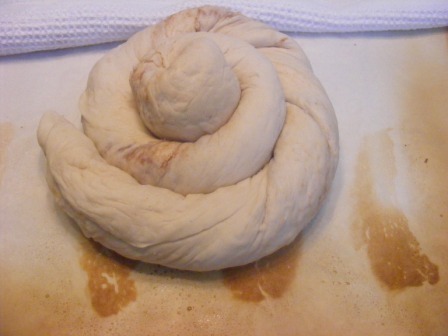 Then I rolled the bread like a jelly roll. 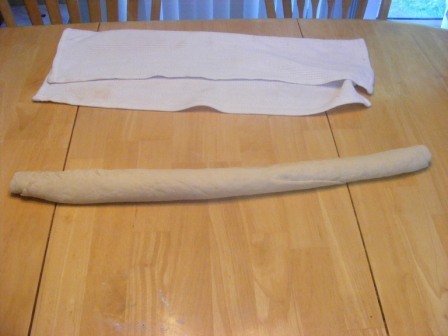 I continued to roll the dough like you would a baguette, stretching the rope out gently as I went. The rope was supposed to reach five feet, but again mine fell well short of this goal. Still undeterred, I twisted the rope from the center to the ends, then coiled it into a turban shape. After brushing the “turban” with butter, I covered it and let it rest for about 45 minutes. I baked the loaf at 400 degrees F for about 30 minutes, until it was well-browned and baked through. The final embellishment was my own. 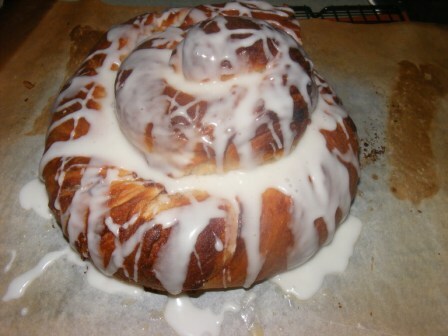 Since it looked so much like a giant cinnamon roll, how could I resist glazing it? I was afraid that the loaf would be too dense, since I wasn’t able to roll it out to the proper length. But it tasted just as others have described it — slightly crunchy on the outside, and warm, gooey, and tender on the inside. Like a giant cinnamon roll. There was an episode of David Letterman many years ago in which Dave set out to find the best coffee in New York City. He sent a camera crew out, and they found dozens of shops, restaurants, Bodegas, and diners, all claiming to have the City’s best coffee. So it is with New York-Style Cheesecake. There aren’t quite as many claimants, but who invented this delectable treat depends on who you ask. One of the places that makes a colorable claim of creating the original New York-Style Cheesecake is Junior’s Restaurant in Brooklyn. So I was excited the other day at JoAnn’s to find a Junior’s Cheesecake Cookbook on sale. Actually more of a magazine, the book has 40 cheesecake recipes from Junior’s. Chief among them, of course, is a cheesecake variably known as Junior’s Famous No. 1 Cheesecake, Original New York Cheesecake, and Junior’s (or the World’s) Most Fabulous Cheesecake. I’m not here to debate the origin of the cheesecake as a New York icon. Nor am I here to argue about who makes the best New York-Style Cheesecake. 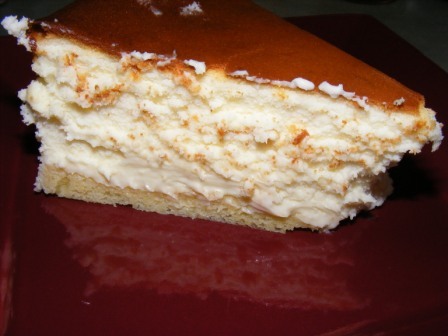 But I am here to tell you that I made Junior’s cheesecake, and it is far and away the best cheesecake I have ever tasted! One of the unique things about Junior’s cheesecake is that it uses a sponge cake crust. 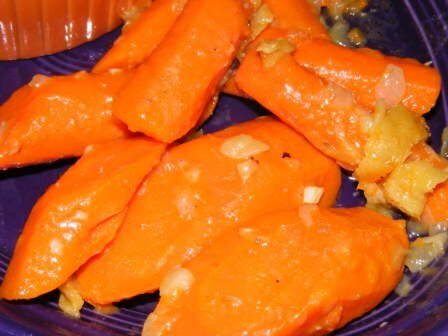 I wasn’t sure how I would like this, as it seemed like it could get soggy, but it was really good and held up well, even after a few days in the refrigerator. Preheat the oven to 350°F and generously butter a 9-inch springform pan. 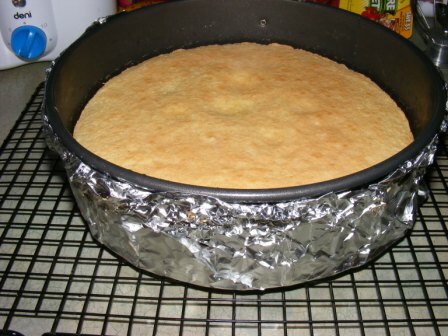 Cover the bottom and sides of pan with foil. 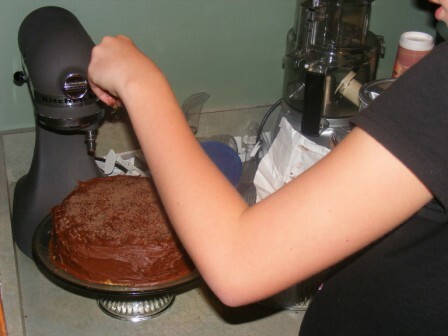 Sift the cake flour, baking powder and salt together into a medium-sized bowl and set aside. Beat the egg yolks together in a large bowl with an electric mixer on high speed for 3 minutes. 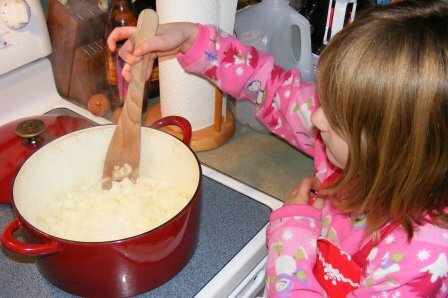 Then, with the mixer still running, gradually add 2 tablespoons of the sugar and continue beating until thick light yellow ribbons form in the bowl, about 5 minutes more. Beat in the vanilla and lemon extracts. 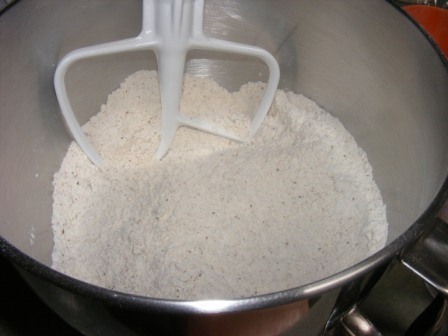 Sift the flour mixture again over the batter and stir it in by hand until no more white flecks appear. Then blend in the melted butter. In a clean bowl, using clean dry beaters, beat the egg whites and cream of tartar together on high speed until frothy. 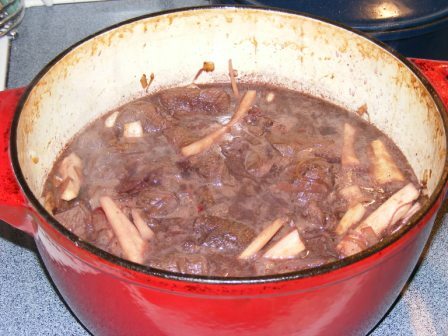 Gradually add the remaining sugar and continue beating until stiff peaks form (the whites should stand up in stiff peaks but not be dry). Stir about 1/3 of the whites into the batter, then gently fold in the remaining whites — don’t worry if a few white specks remain. 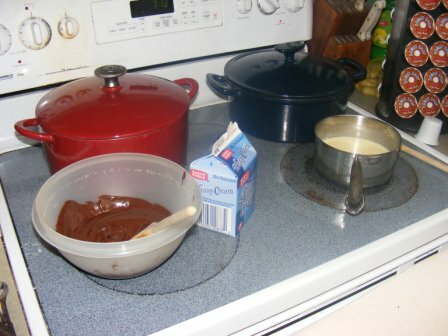 Gently spoon the batter into the pan. Bake the cake just until the center of the cake springs back when lightly touched, about 10-12 minutes (watch carefully). 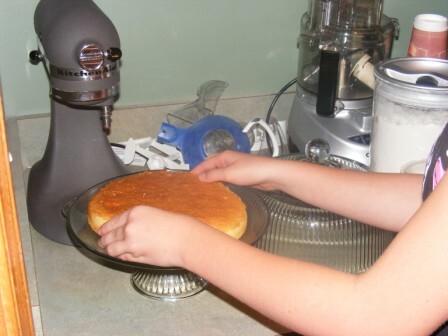 Let the cake cool in the pan on a wire rack while you continue making the cheesecake filling. 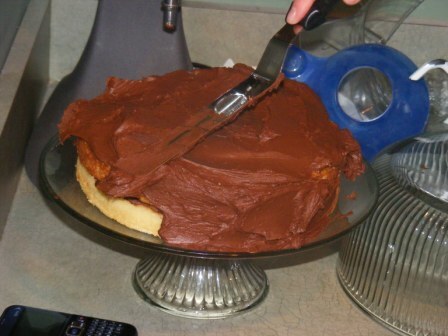 Do not remove the cake from the pan. 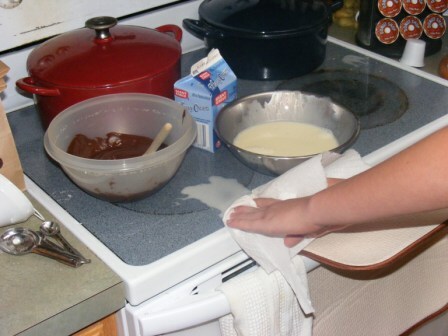 Keep oven at 350°F and while the cake cools, make the cream cheese filling. Place one 8-ounce package of the cream cheese, 1/3 cup of the sugar, and the cornstarch in a large bowl. 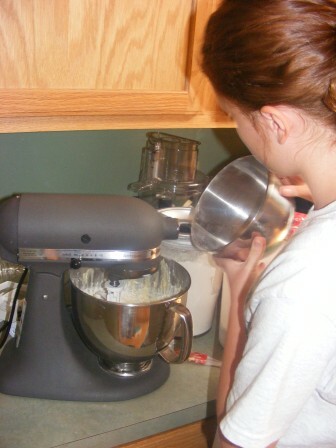 Beat with an electric mixer on low speed until creamy, about 3 minutes, scraping bowl a few times. 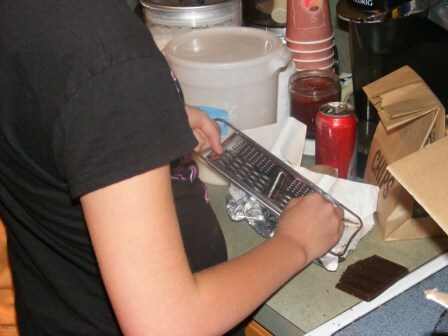 Then beat in the remaining 3 packages of cream cheese one at a time, scraping the bowl after each addition. 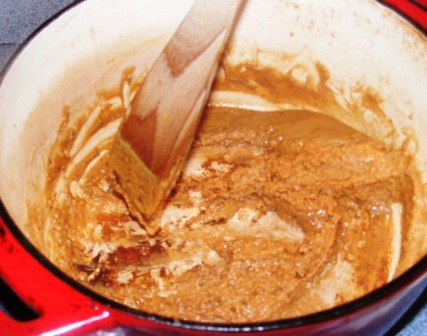 Increase the mixer speed to high and beat in the remaining 1 1/3 cups of the sugar and then the vanilla. 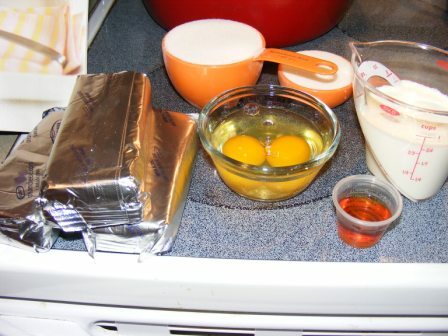 Blend in the eggs one at a time, beating the batter well after adding each one. Add the heavy cream. 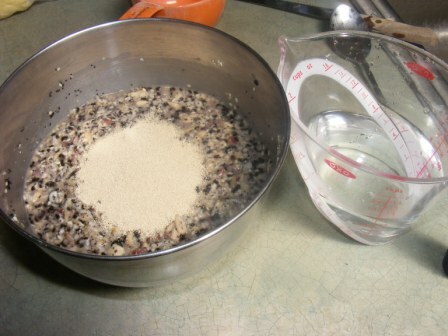 At this point mix the filling only until completely blended. Be careful not to overmix. 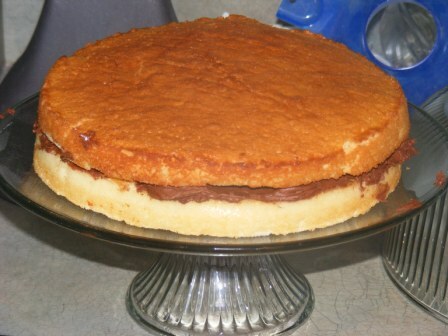 Gently spoon the cheese filling on top of the baked sponge cake layer. 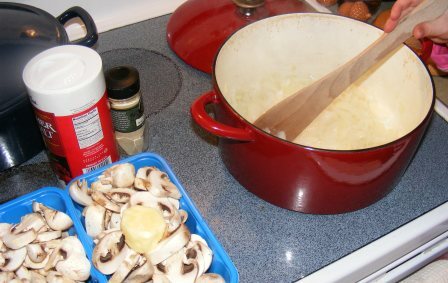 Place the springform pan in a large shallow pan containing hot water that comes about 1-inch up the sides of the pan. 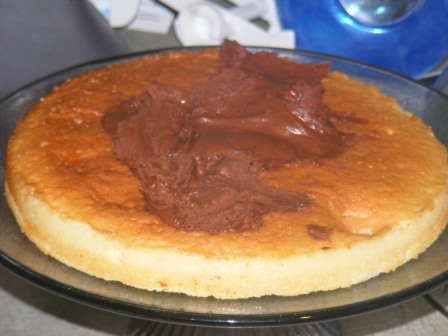 Bake the cheesecake until the center barely jiggles when you shake the pan and the top of the cheesecake is golden tan, about 1 hour. 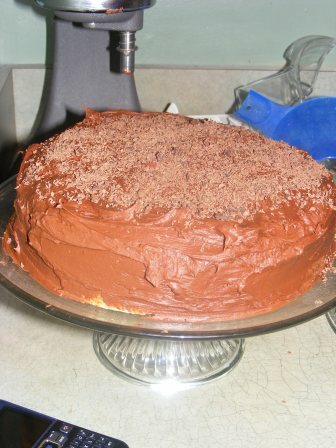 Cool the cake on a wire rack for at least 2 hours. 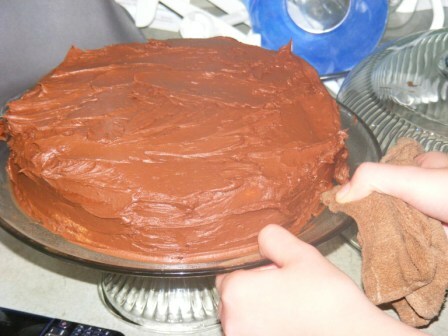 Then cover the cake with plastic wrap and refrigerate until it’s completely cold, at least 4 hours or overnight. Remove the sides of the springform pan. 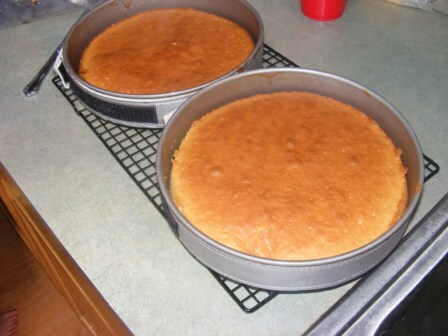 Slide the cake off the bottom of the pan onto a serving plate or serve directly from the removable bottom of the pan. If any cheesecake is left over, cover it with plastic wrap and store in the refrigerator. 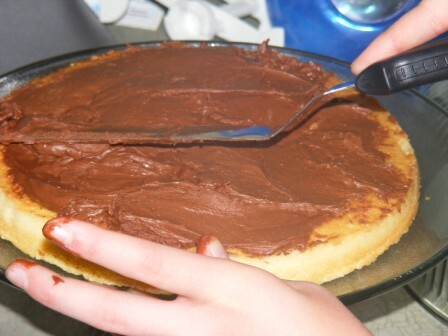 As you can see, my cheesecake didn’t come out picture perfect. I overbaked it slightly and had a little trouble unmolding it. But the taste was out of this world. I’m actually kind of glad it didn’t come out perfectly. Now I have an excuse to try again. And again….